Rocket URIGLOW® Transiluminating Ureteric Stents provide rapid identification of the lower pelvic ureter during open and laparoscopic surgery. 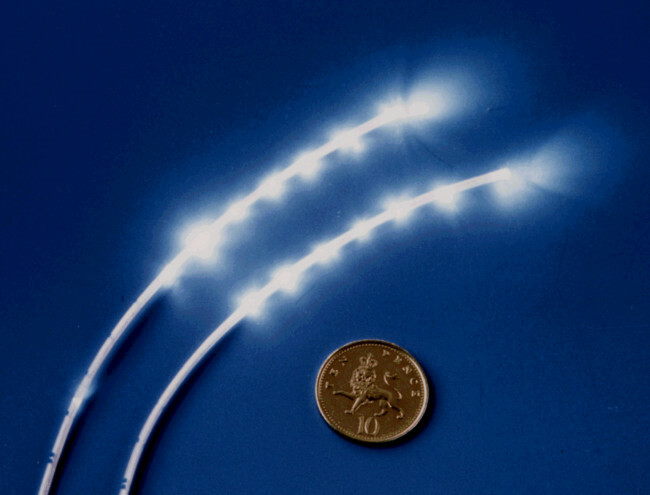 Optical Fibre: 1.9mm (6FG) max OD x 100cm long. Radio-opaque marker line. Active tip: 6 x 1cm high intensity emission points. 1st point 15mm from domed distal tip. 5 x 1cm graduations commencing 75mm from tip. Packed: 2 stents in a tray with cystoscope bung and instruction sheet. For single use. HIGH VISIBILITY in a wide range of operative conditions has been achieved by using a new type of optical fibre, ensuring better intra-operative performance and easier detection. 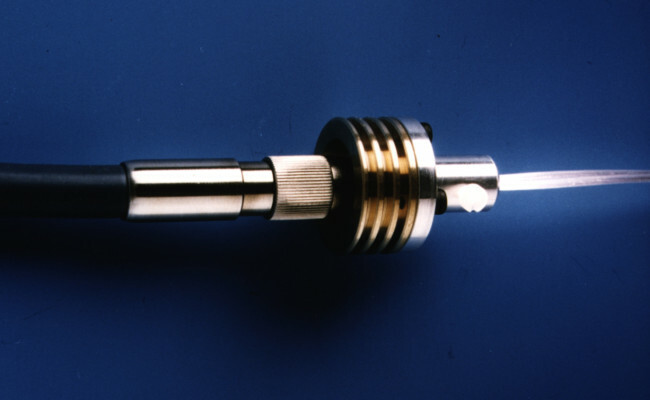 The Rocket URIGLOW® Light Guide Coupler (LGC) is a reusable precision optical device designed to absorb up to 90% of infra-red radiation present in the output of medical light sources. 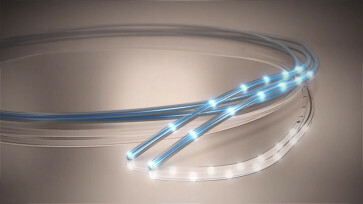 It safely and securely links fibre optic cables to the URIGLOW® Transilluminating Ureteric Stents. HIGH LEVEL IR ABSORPTION. The URIGLOW® LCG is designed to absorb up to 90% of light source IR output which means there is no detrimental heating effect in the ureter from high intensity light sources. ROBUST DESIGN. Solid stainless steel construction securely protects the delicate IR mirror and lens assembly. SECURE ATTACHMENT . The coupler will securely attach the URIGLOW® transilluminating stents to any standard Storz screw type light cable fitting. 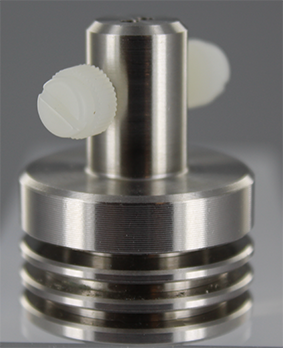 REUSABLE: The URIGLOW® Light Guide Coupler is designed for steam sterilisation. Active tip: 6 x 1cm high intensity emission points. 1st point 15mm from distal domed tip. 5 x 1cm graduations commencing 75mm from tip. Phipps J.H. & Tyrrell. N.J. 'Transilluminating ureteric stents for preventing operative ureteric damage' Br. J. Obstet. Gynaecol. 1992. 99. pp81-84.